First things first, what do you need for DIY acrylic nails? 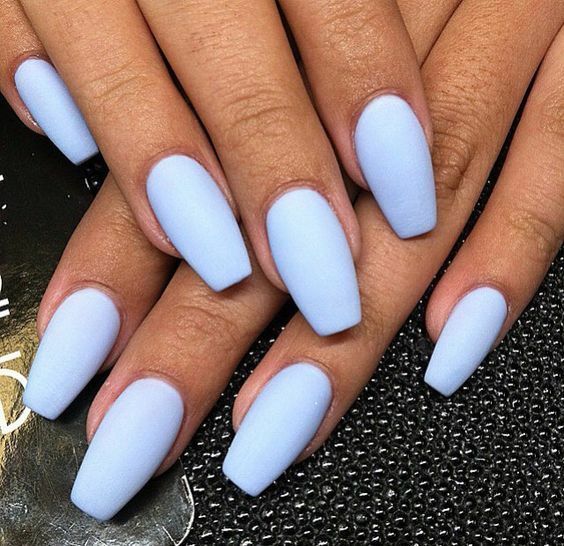 What do you need to do to put on acrylic nails? How Are You Using Your Kit? Who doesn’t love the look of a fabulous set of nails? On the other hand, who really has the time and money to pay for fills every two weeks? There is another way: Doing your own acrylic nails is not as difficult as you might think. What do you need for beautiful do it yourself acrylic nails? Well, one thing is for certain, you must start with good, quality tools and they’re actually not too difficult to find. Just be sure to clear an easy to clean, well-ventilated spot in your home and follow these simple instructions. You should be good as gold, and rocking a fabulous set of durable, shiny, acrylic nails! First, you need to prepare the nails. Preparing the nails before applying acrylics is essential to avoid lifting and to ensure that your manicure will last as long as possible. Before you begin working on your nails take the time to ensure that your nails and tools are cleaned/sanitized. 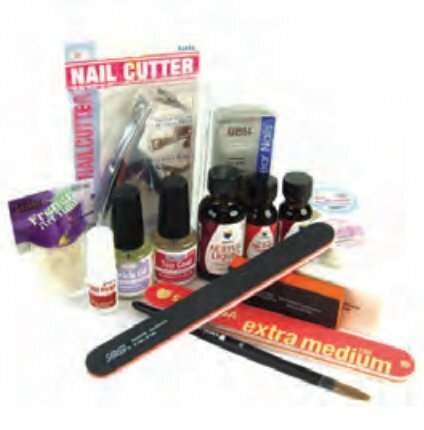 This will guarantee that you are not spreading bacteria and keeping your nail kit items in tip-top shape, helping them to last longer. Make sure that your nails are dry before continuing. Now that everything is clean, it is time to start working on your nails. Use the cuticle pusher to gently push back your cuticles. Remember, we want the acrylic to stick to our nails and not our skin. Keeping the nails off of the skin will also prevent lifting. Shape your natural nails to desired length and shape. If you are using tips, you may want to skip this step but we recommend shaping and trimming your nails even if using tips. You then need to buff the nail using the buffing block to remove all shine from the nail. This will improve the adhesion of the acrylic nail. Remove all dust from the surface using a lint-free cloth or clean fluffy old makeup brush. Cut and shape the tips to your desired length. Buff the edge where the tip meets your natural nail so it is as flat as possible. This will create a seamless appearance and help prevent lifting or breaking. 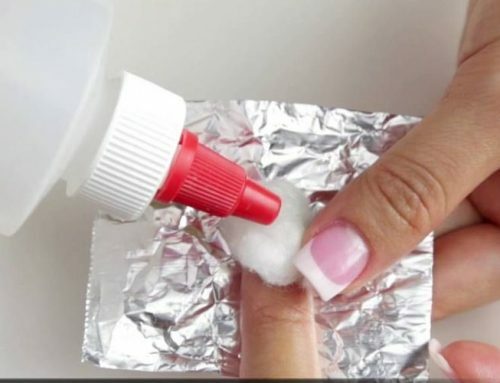 Buff the nail tip to remove any shine. This allows the acrylic to bond better. Follow the rest of the steps accordingly, as if your tips are your natural nail. You can then apply the nail prep/dehydrator to the whole of the nail. Wait a few seconds to let it take effect. The final stage of preparing the nail for the acrylic is to apply the acid-free nail primer to the entire nail. This is to make it take the acrylic liquid and hold the nail as strongly as it can. Pour your acrylic liquid into the dappen dish and then dip the acrylic brush into the dish. Push it down to get rid of all air bubbles. Take the brush tip out and remove the excess acrylic liquid on the edge. Dip the brush into the acrylic powder and drawing it toward you to create a bead of acrylic. If the brush is too wet or dry, the acrylic powder will not create the right consistency.Aren’t happy with the type of bead you created? No problem, just repeat steps 1 and 2 again. Using the brush, place the bead of acrylic near the cuticle Keep your nail facing down and use gravity to your advantage.Feather the small bit of acrylic out over your nail, being cautious to not get any onto your skin as you sculpt the acrylic. 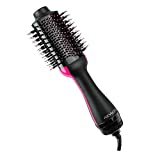 Use the body of the brush to pull the bead down to the tip of the nail, creating a smooth surface. Applying the acrylic in this method cuts down on filing. Keep the brush clean by regularly dipping into the acrylic liquid. If necessary, repeat steps 2-4 again until you are happy with the appearance of the nail, but one bead should be able to cover your nail. Wait around two minutes for the acrylic to dry and then tap the nail to see if it is dry. It will sound hollow if it hasn’t dried. It will ‘ting’ when it has dried completely. Now is the time to start with your polish or nail art. If you just want to leave your nails the color of the acrylic powder, apply a non-wipe top coat and your nails are set. Haven’t mastered the single acrylic bead technique yet? Check out this video to perfect your powder to liquid ratio. Bonus: When you are done, add cuticle oil to your cuticles to keep them moisturized. We also recommend using a moisturizing anti-aging hand cream, so your hands can look as good as your nails. Our favorite is Abinoid’s ultra-moisturizing Hemp Hand Cream. Now that you know how to apply acrylic nails at home, it is time to get the supplies you need. It is almost always cheaper to buy all of your tools in a kit form, but not all acrylic nail kits are created equal. Here are our tips for choosing the best kit for your needs. Look at what is included in the kit and make sure that it has what you will need. This should include the basics such as the acrylic powder, acrylic liquid, at least one nail brush, nail files, and buffing blocks. Then consider other extras that you will want. Are you considering playing around with nail art? You may want to consider a kit that comes with other accessories such as nail stickers, rhinestones, and practice fingers to fine-tune your art skills. If you only want to do basic acrylic nails, you will not need a kit with all of these bells and whistles. So, don’t waste your money on large kits that come with a lot of extras you will never use. This is something to think about before buying your acrylic nail kit, especially when considering the amount of product that is included. Will you only be using this nail kit for yourself? Are other people in your household using this? 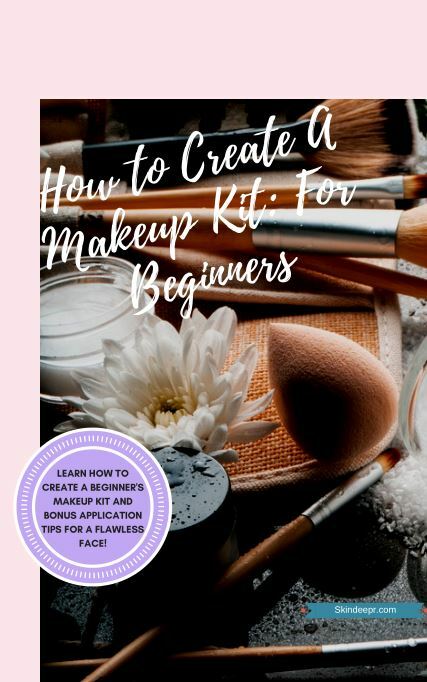 Keep that in mind when looking at the amount of the basics, such as powder, liquid, and tips that are included in the tip. Or is it going to be for a professional shop or nail service? If you are doing nails professionally, you are no longer just practicing or perfecting your craft. This will also change the types of products you are using, as you will want to make sure your clients have the high-quality nails so they continue to come back. One of the most important things when choosing the acrylic nail kit that will work best for you, is making sure it is a filled with quality products. Make sure that the reviews are good. A question to answer when searching reviews is: the acrylic is applied correctly, does the kit meet last the standard two weeks? Another quality to look for is to ensure that it is not made with MMA. Methyl methacrylate, or MMA, is often for medical purposes by dentists and orthopedic surgeons. It can be found in bone cement and joint replacements but can also be found in plexiglass. Many years ago you could find this used in nail salons throughout the country, until the FDA banned the use of MMA in nail products in 1974. When hardened MMA is not dangerous; but when it is inhaled or comes in contact with the skin in liquid form it can cause adverse side effects. Some side effects include, lightheadedness, tightness in the chest, tingling, and burning. MMA should never be used in any product that comes in direct contact with your nails. Whether you are on a budget or want to invest in a high-quality nail kit, there are plenty of options at both ends of the spectrum. The best news is, that either way you go, buying all of your tools in a kit is almost always cheaper than purchasing supplies separately. If using the kit for personal use, you also end up saving money by doing your nails at home, instead of going to a salon. These are five of our top picks for the best acrylic nail kits. 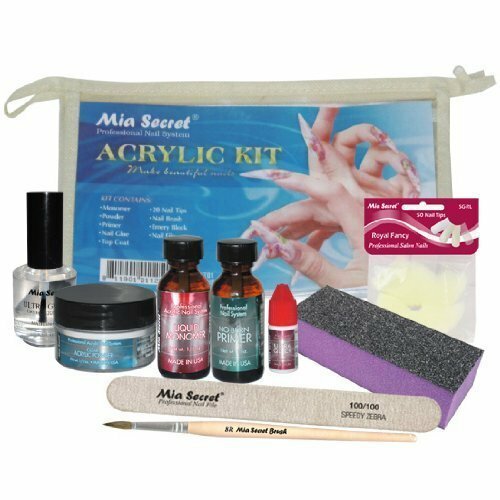 This is an acrylic nail kit from Sassi that is great for beginners. It comes with everything that you need to achieve a beautiful acrylic manicure. This includes the acrylic powder, top coat, acrylic liquid, top coat, brush cleaner, emery boards, and more. It is great for those that want to try doing acrylics at home for the first time. The only downside is that the instructions included in the kit are unclear. Thank goodness you have this blog post! Looking for a ton of bells and whistles? Well, this kit has them. Coscelia has the basics with a ton of extras that include a finger to practice your nail art on so you don’t have to risk damaging your natural nails. There are also 12 different colors of glitter included, rhinestones, and many different nail tip sizes to choose from. This kit does not come with acrylic liquid, primer, dehydrator, top coat, or nail glue though. So, this kit might be best suited for someone who already has those supplies or to be combined with a more basic kit that does not have any extras. Nail art is one of the most fun and creative parts about acrylic nails. The Mitsutomi Acrylic Nail Art Kit allows you to let you your inner nail artist free. Although this kit is also missing the primer and dehydrator, it compensates with many other basics and extras. There is acrylic liquid and nail glue in this kit, as well as 3 art dotting pens, 24 different glitters, rhinestones, 3D flowers, and the list goes on and on. This would be a great kit to really let your creativity flow. The Mia Acrylic Nail Kit is a very simple and basic kit but we think it is perfect because it is filled with the essentials. In this kit, you get the acrylic liquid and powder, nail glue, a quick drying top coat, 20 nail tips, a primer, a nail brush, an emery board, and a buffing block. Everything that you need to get you started. You also can’t argue with the low price! Honestly, this one was a surprise. Kiss is known for great fake nails and great nail glue, but who knew they also made a great acrylic nail kit? The first thing that is great, is that it comes in a convenient storage case to keep everything organized. The Kiss Complete Salon Acrylic Kit also comes with everything that you need, including white tips for a French manicure, natural tips, primer, acrylic liquid, acrylic powder, acrylic brush, and nail glue. This makes it simple to do a personal manicure at home. The nail tips are also thin but sturdy, so they blend easily but last. 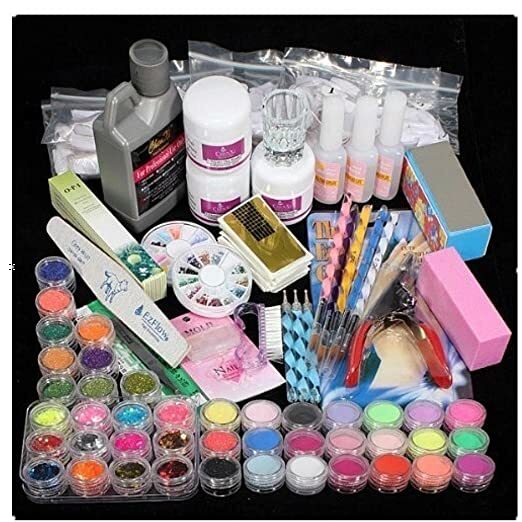 This is a great all in one kit and we would then choose to purchase our nail art supplies separately. Giving yourself an acrylic manicure at home is much easier than you may have thought. Just follow the steps and tips above and you will be rocking picture perfect claws. You now have all of the steps for prepping your nails and applying the acrylic like a pro. So, go confidently and work your gorgeous nails! 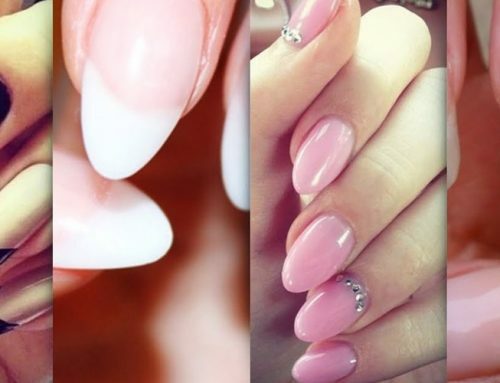 It is so simple to get all of the tools you need to get Instagram ready nails. All of your supplies are just one click away. Let us know how it works out below, even show us some pictures. Or do you have another favorite at home manicure? Keep us in the know.